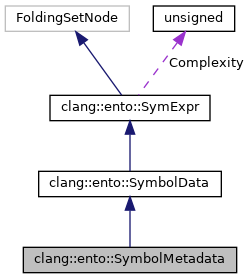 SymbolMetadata - Represents path-dependent metadata about a specific region. 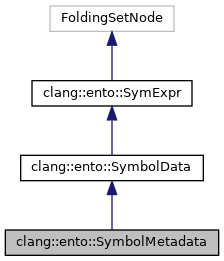 Metadata symbols remain live as long as they are marked as in use before dead-symbol sweeping AND their associated regions are still alive. Intended for use by checkers. Definition at line 201 of file SymbolManager.h. Definition at line 210 of file SymbolManager.h. Definition at line 248 of file SymbolManager.h. Definition at line 103 of file SymbolManager.cpp. Definition at line 224 of file SymbolManager.h. Definition at line 223 of file SymbolManager.h. Definition at line 221 of file SymbolManager.h. Definition at line 222 of file SymbolManager.h. Definition at line 225 of file SymbolManager.h. Definition at line 336 of file SymbolManager.cpp. Definition at line 231 of file SymbolManager.h. Definition at line 243 of file SymbolManager.h.